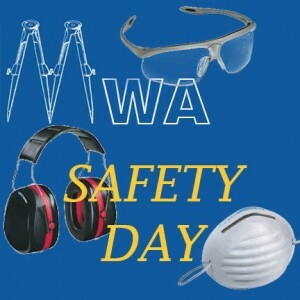 Today is Woodworkers Safety Day! Woodworkers Safety Day is TODAY, May 17th! This commemorative day in woodworking history was started as Woodworking Safety Week, by The Wood Whisperer, Marc Spagnuolo back in 2008. Since then it has been trimmed down to just Woodworking Safety Day and is now sponsored by the folks over at Modern Woodworker’s Association, spearheaded by Tom Iovino of Tom’s Workbench. So take some time today to read through the last years worth of safety tips that have been featured in our monthly publication Wood News Online. Hopefully these tips will inspire you to practice woodworking safety, not just today, but every day of your woodworking ventures. Let us know if you have any of your own safety tips by leaving a comment! CLICK HERE for even more Woodworking Safety Tips. CLICK HERE to go to Highland Woodworking’s Safety Equipment page to make your shop safe! Two Minute Safety Tips – we want more!